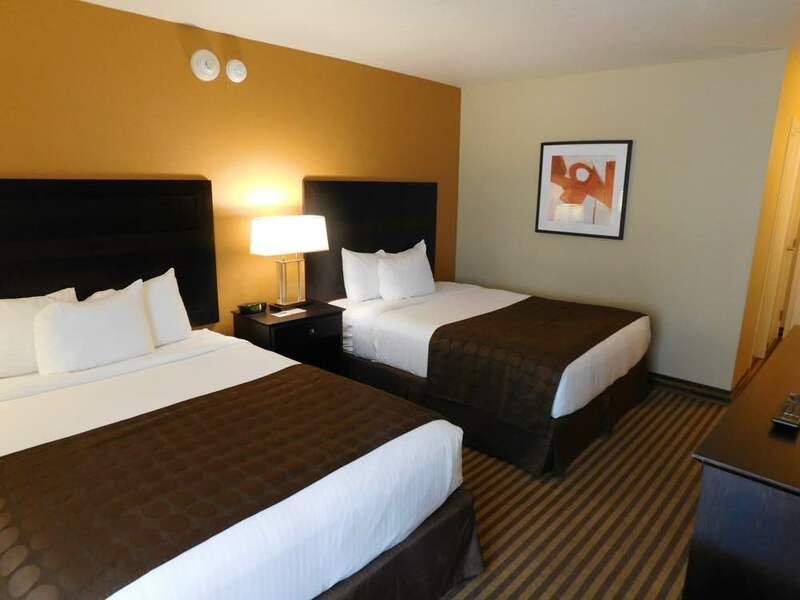 Non- smoking room with 2 queen beds. 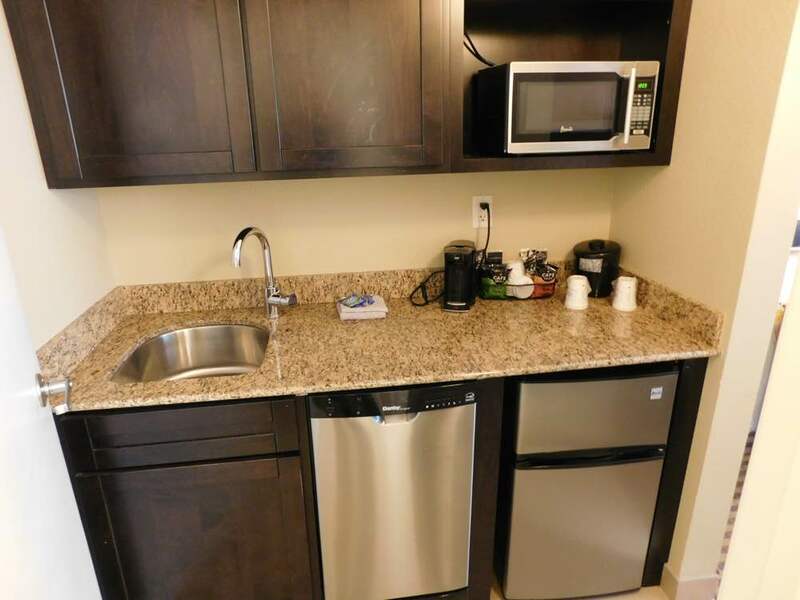 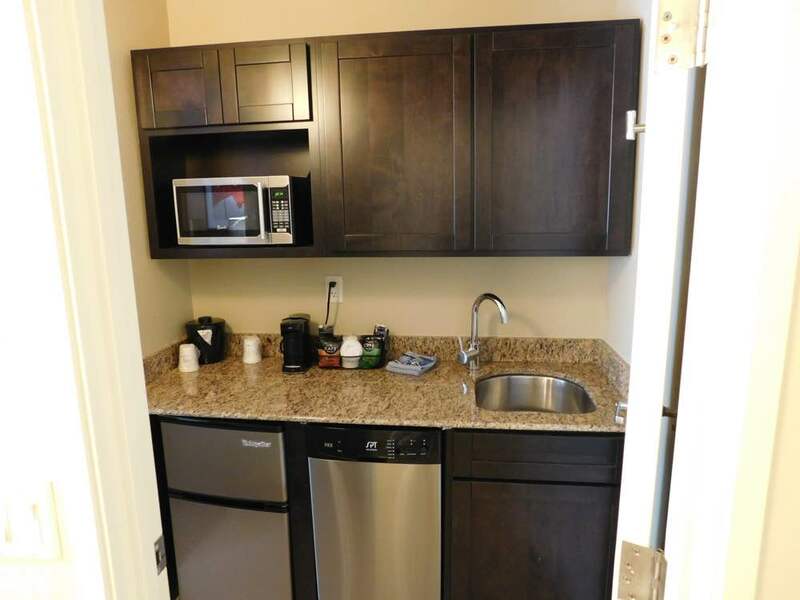 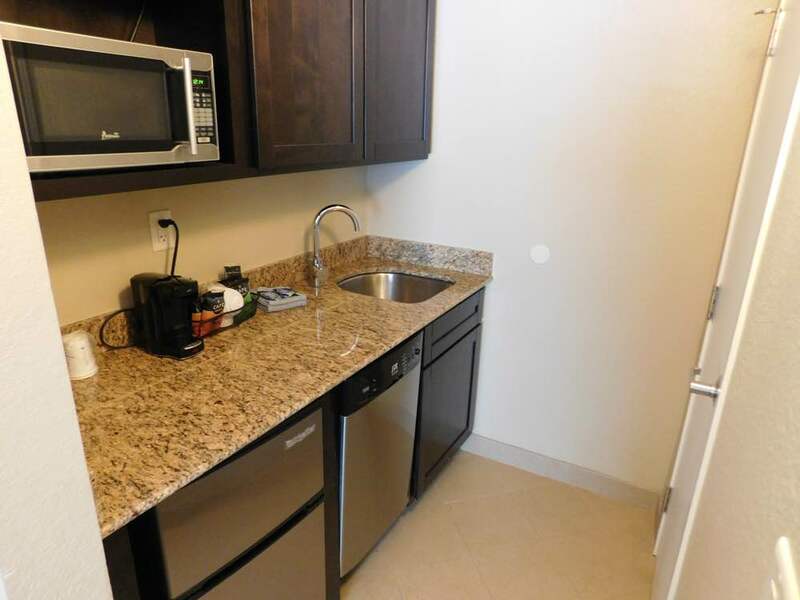 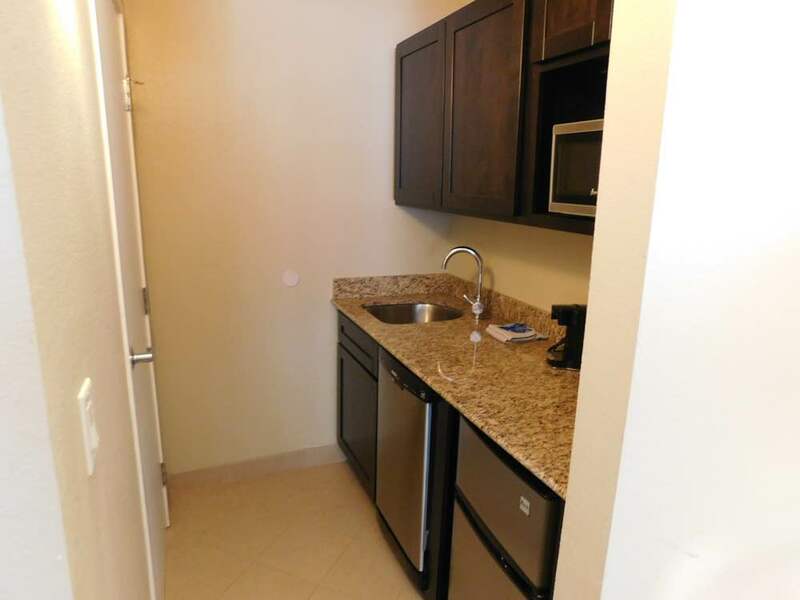 Walk in Closets have been replaced with Counter Tops and Cabinets for the convenience of extended stay. 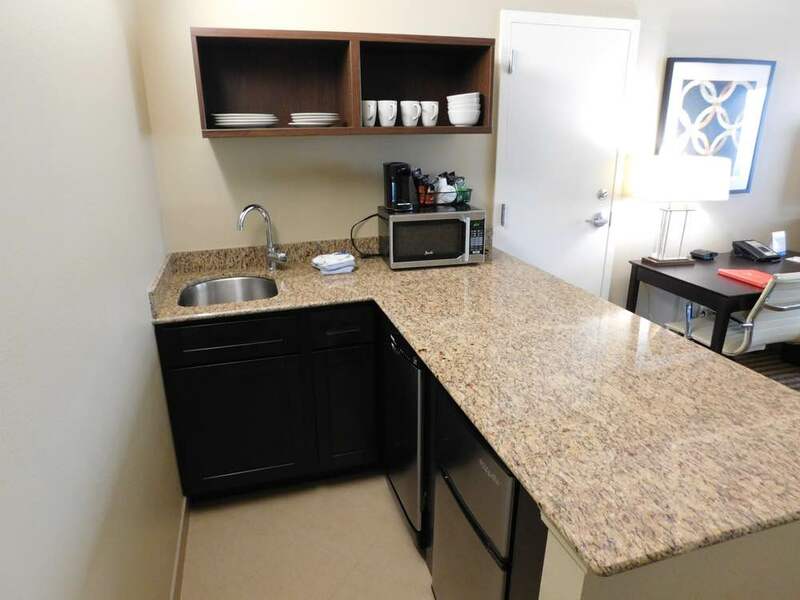 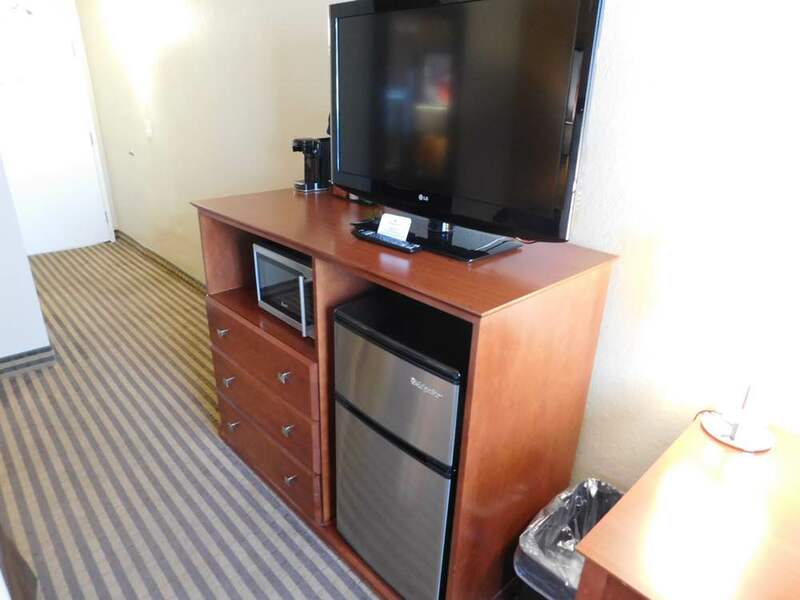 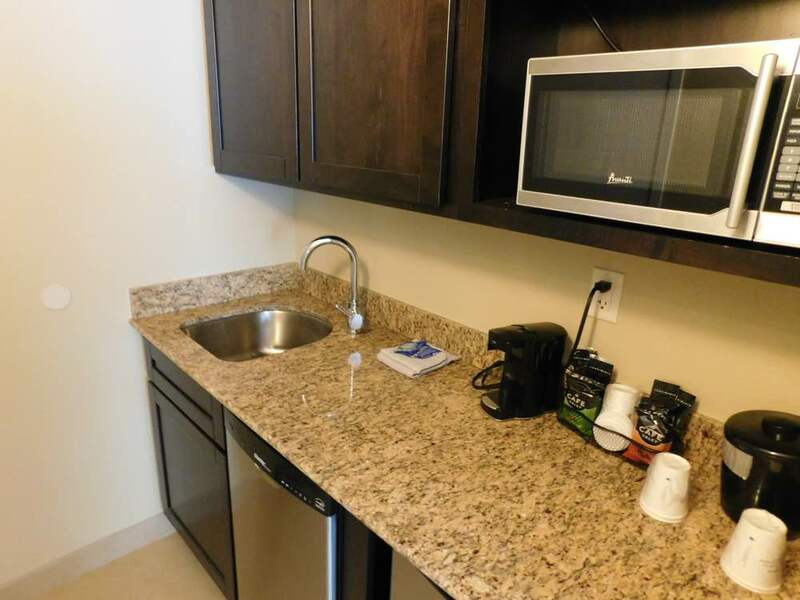 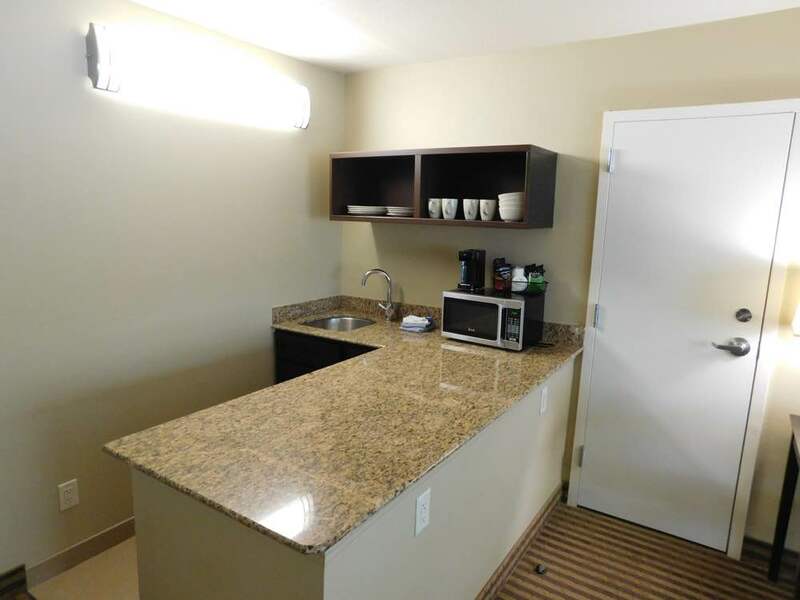 Each guest room features a stainless steel refrigerator, microwave oven, single serve coffee maker and complimentary safe. 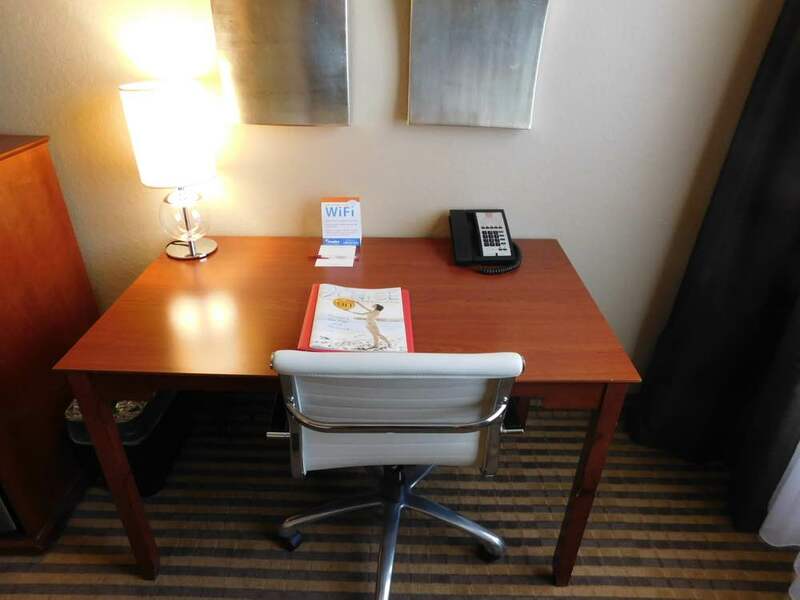 Convenient Clock Radio charging stations for digital equipment. 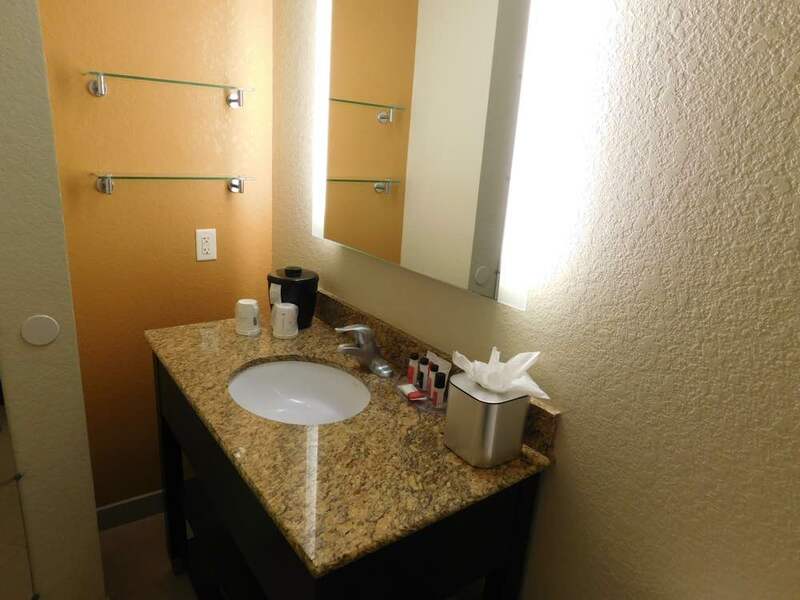 Stream your favorite programs with free WiFi or watch a variety of shows on cable television. 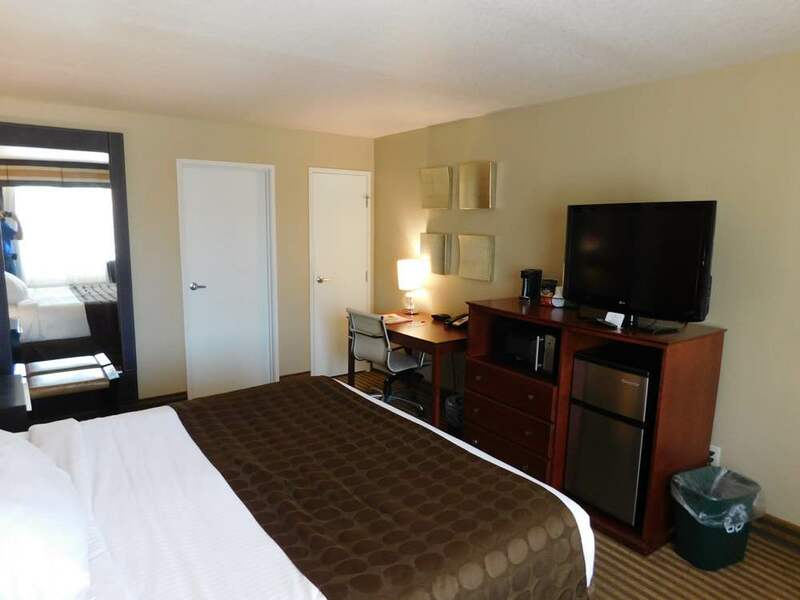 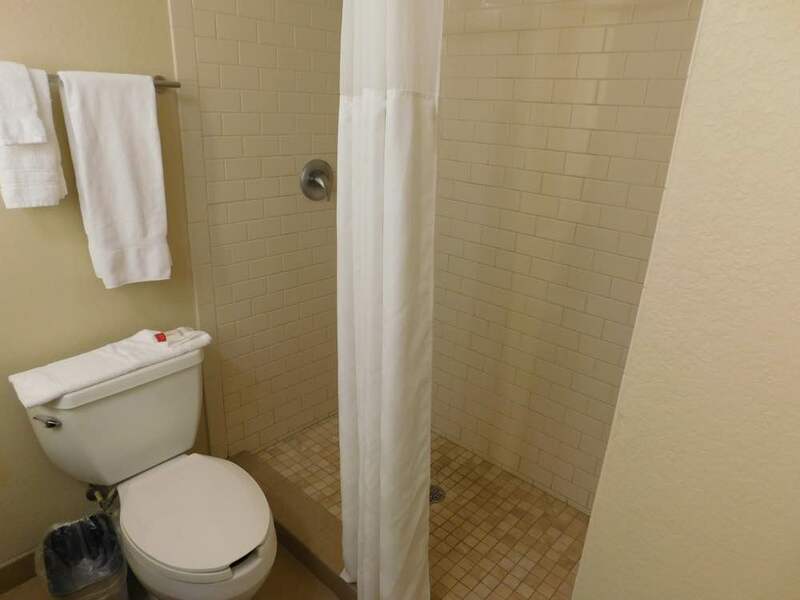 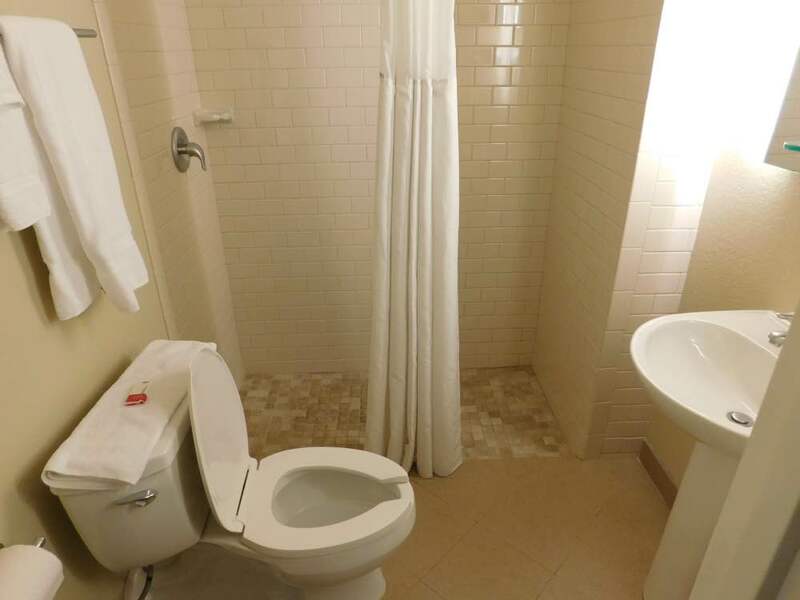 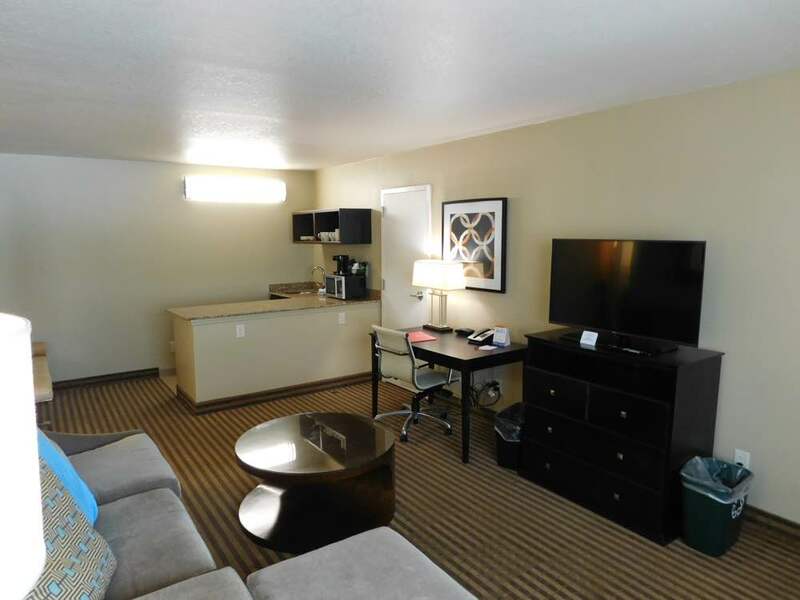 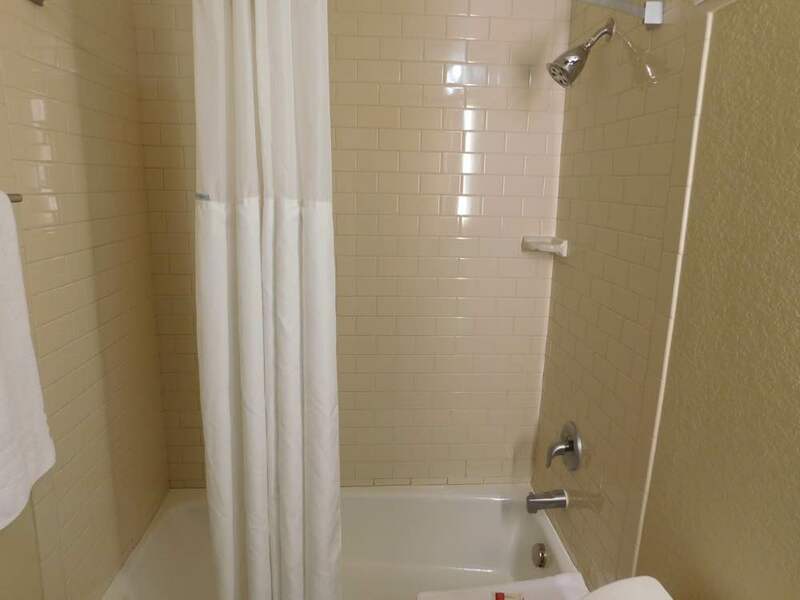 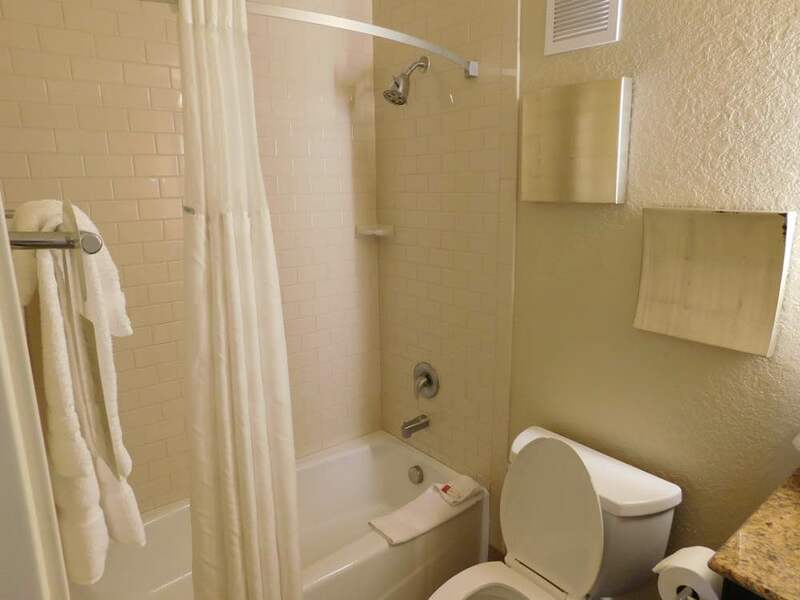 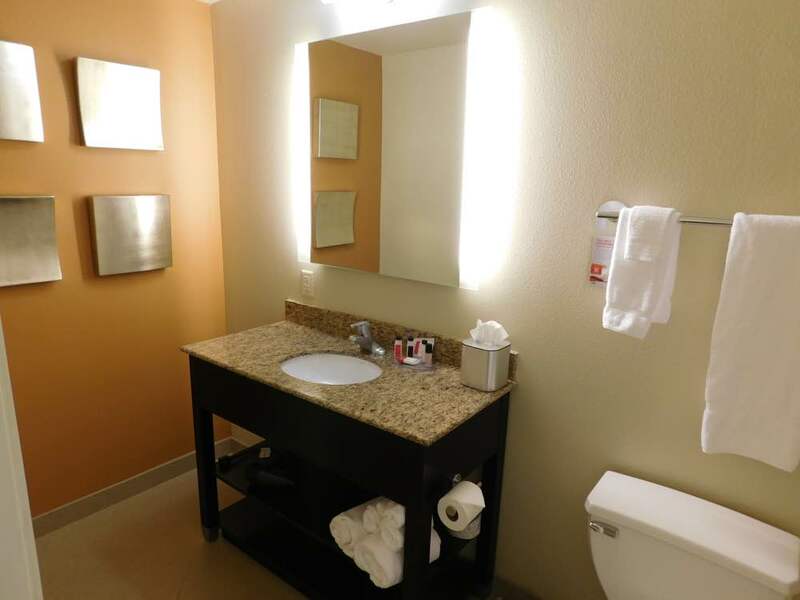 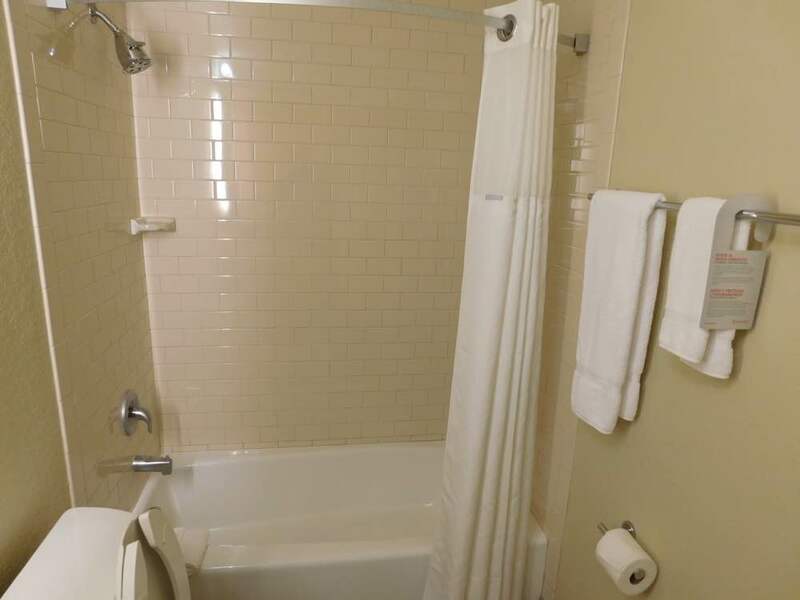 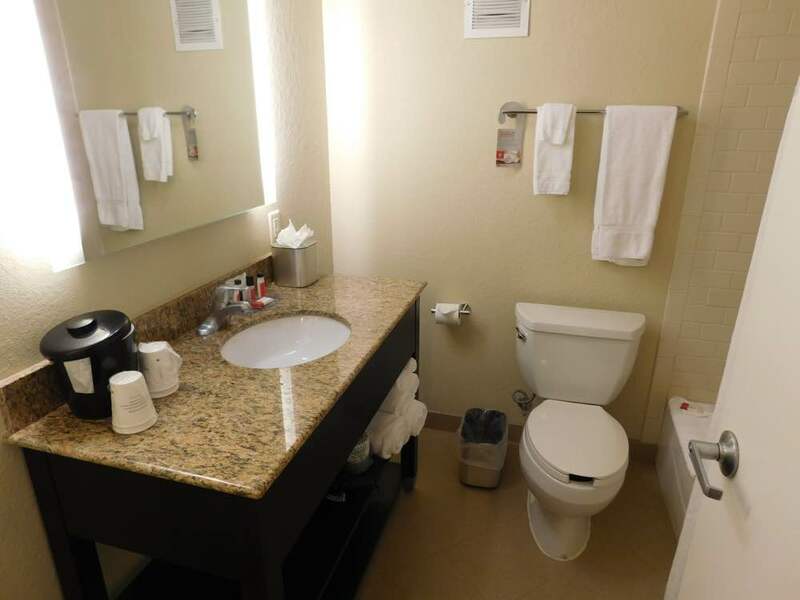 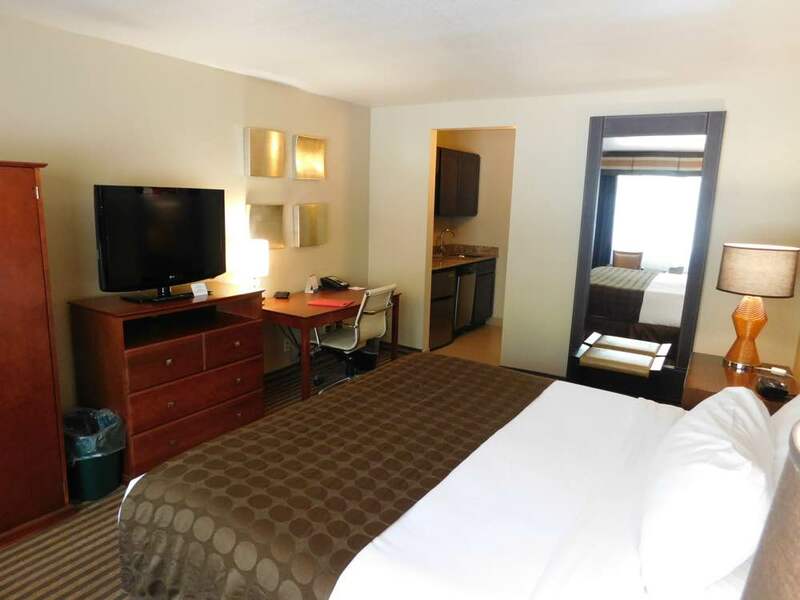 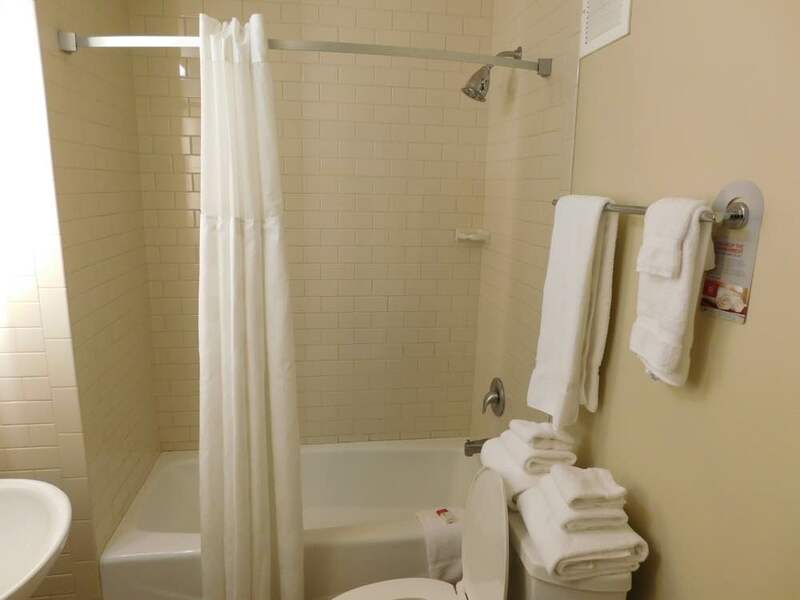 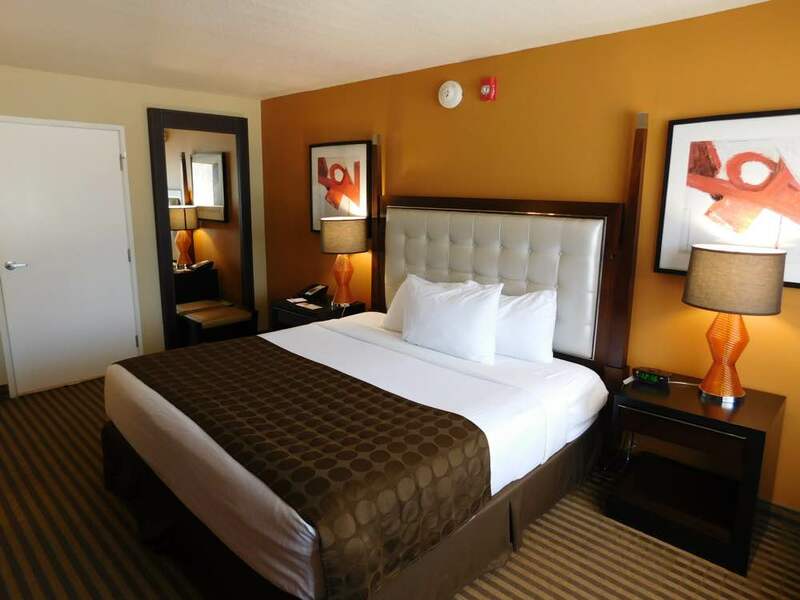 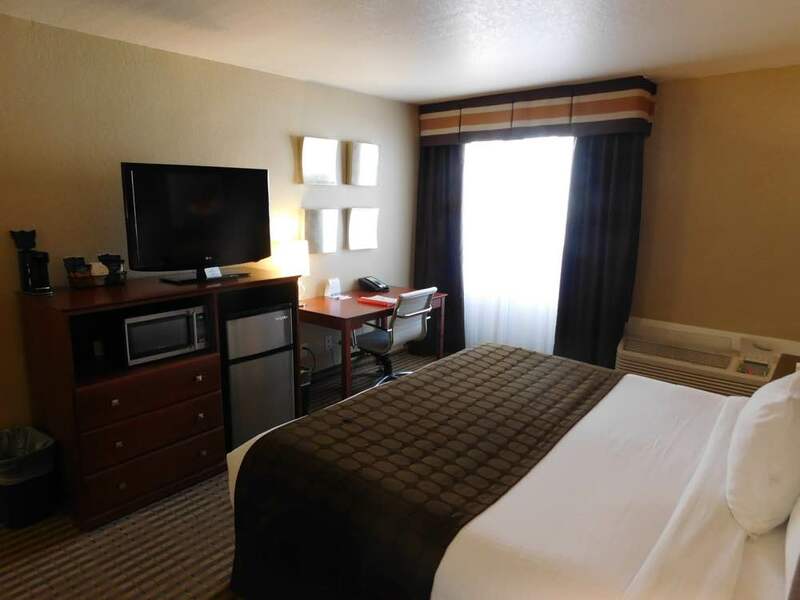 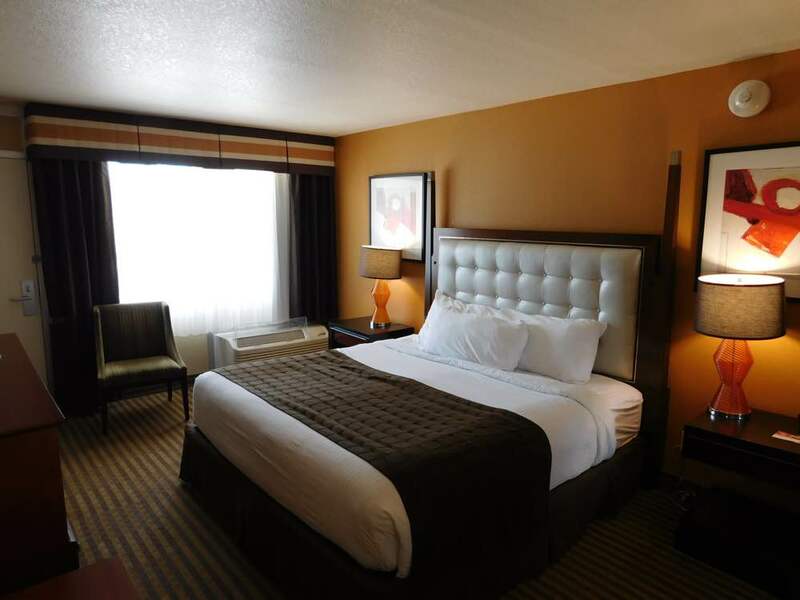 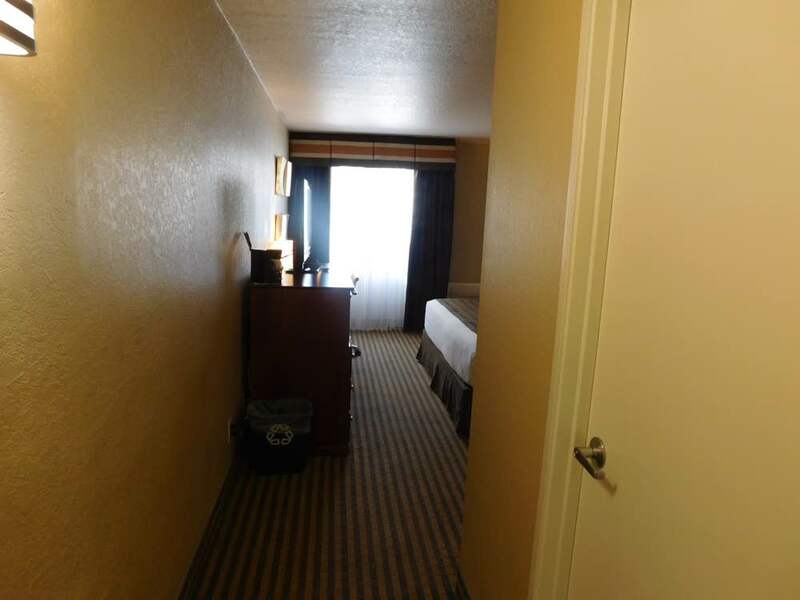 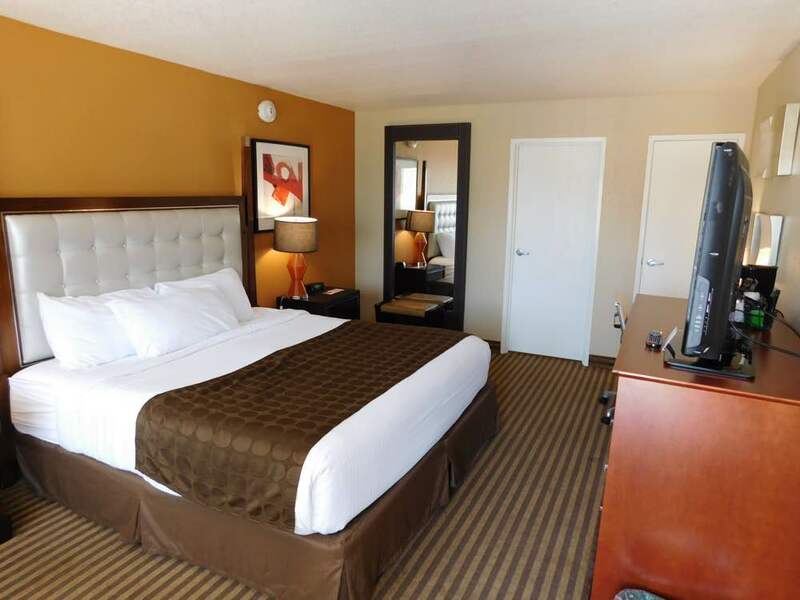 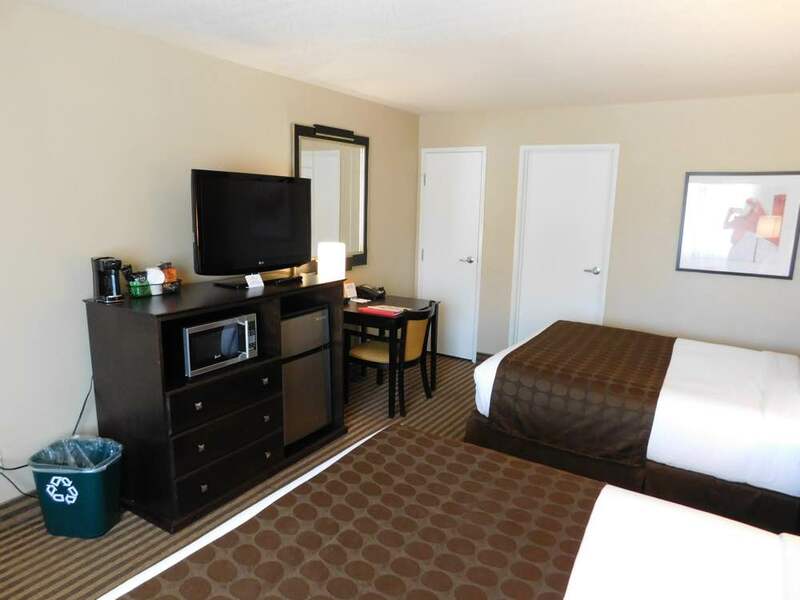 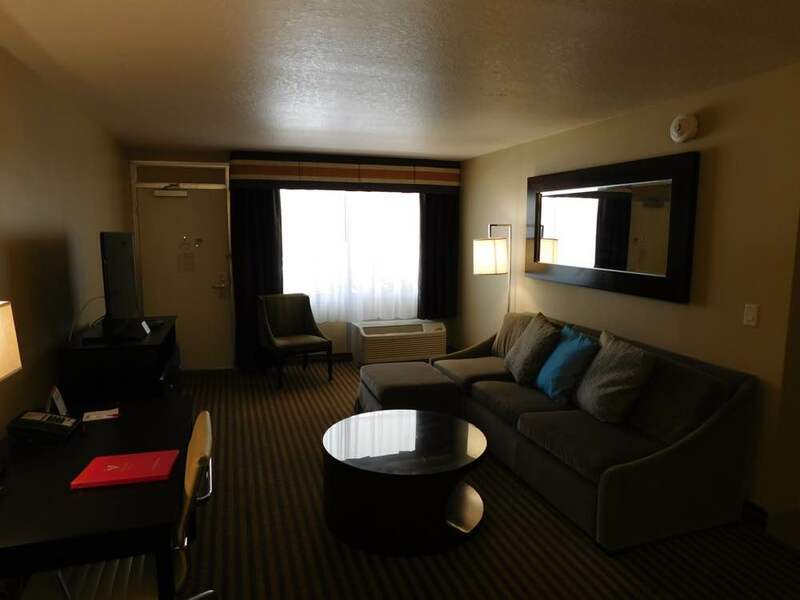 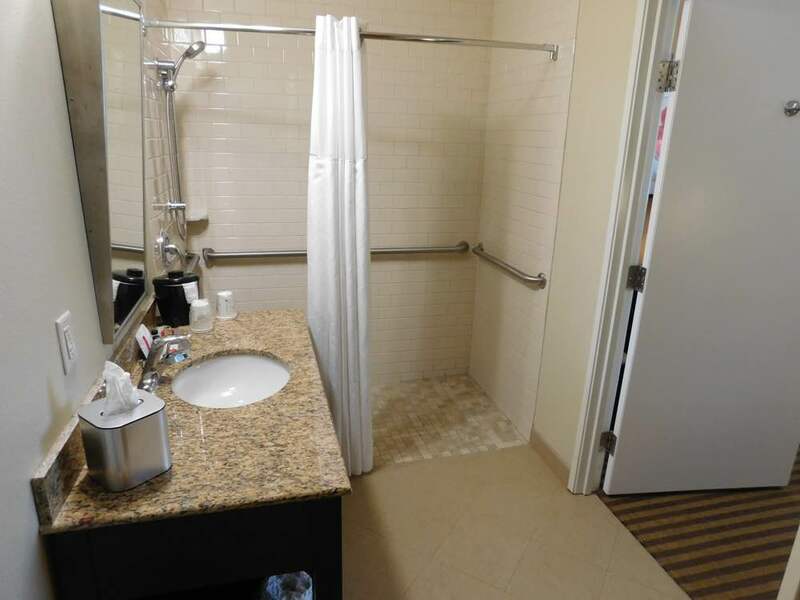 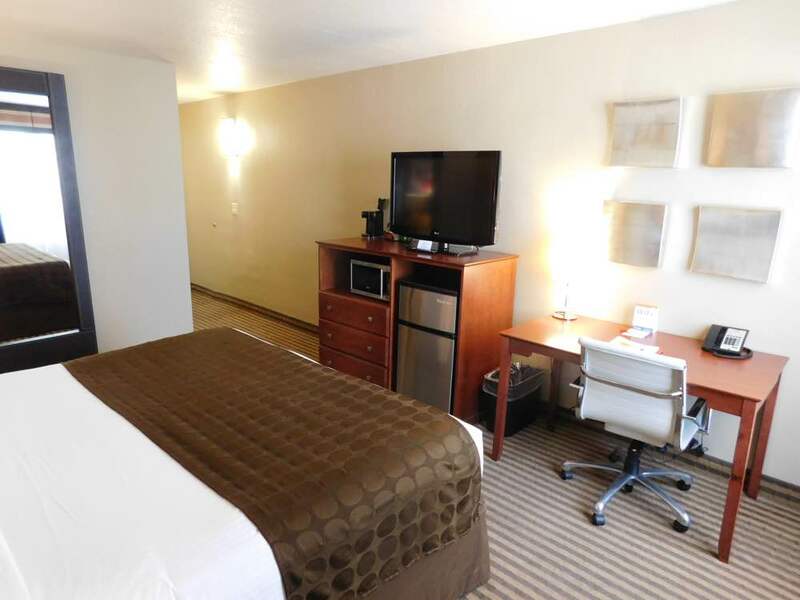 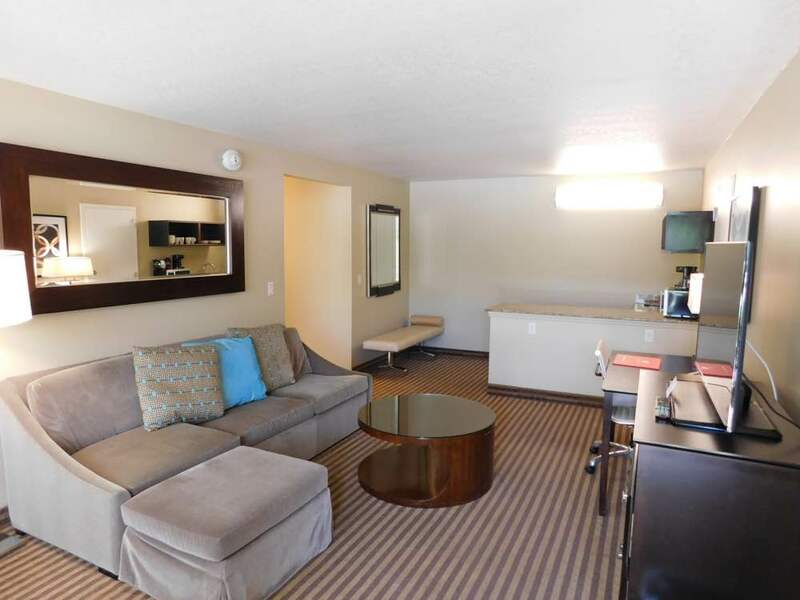 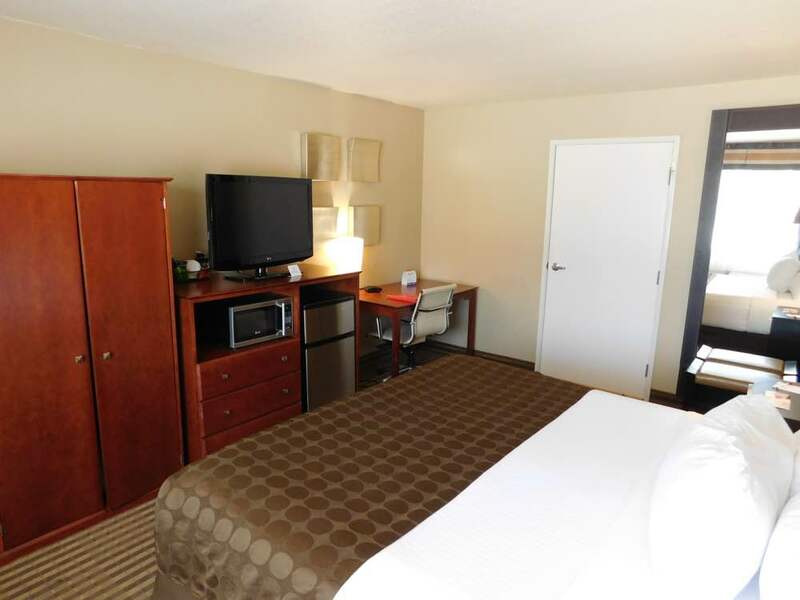 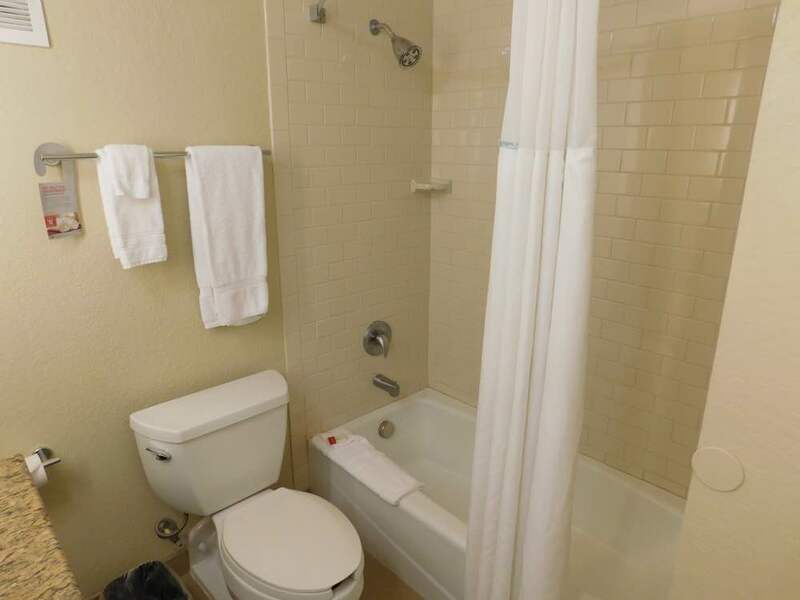 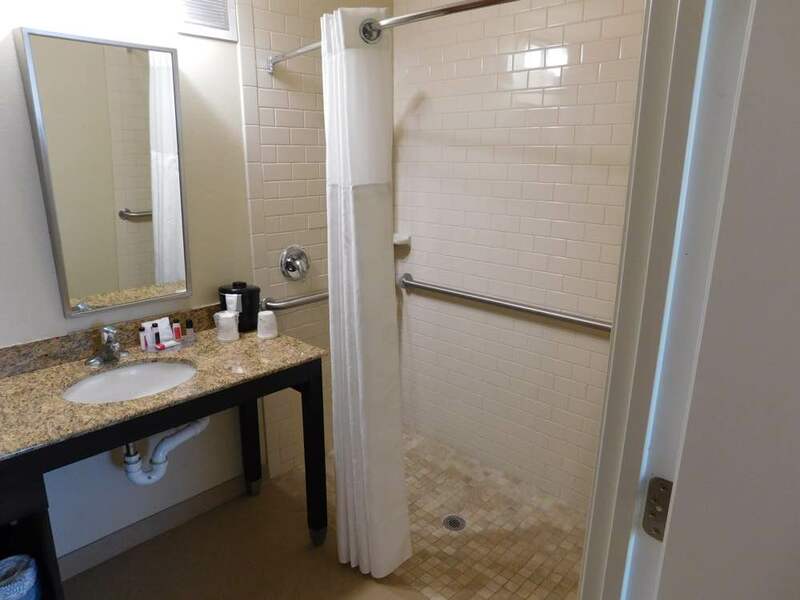 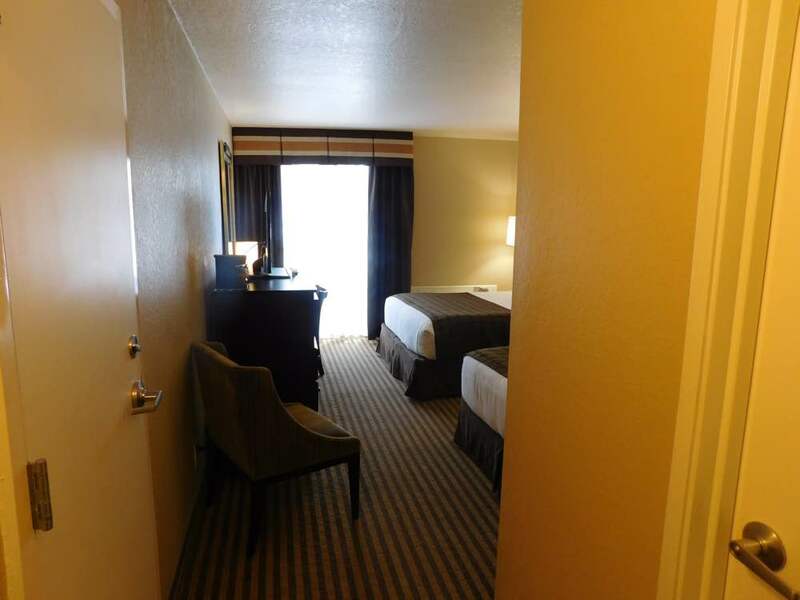 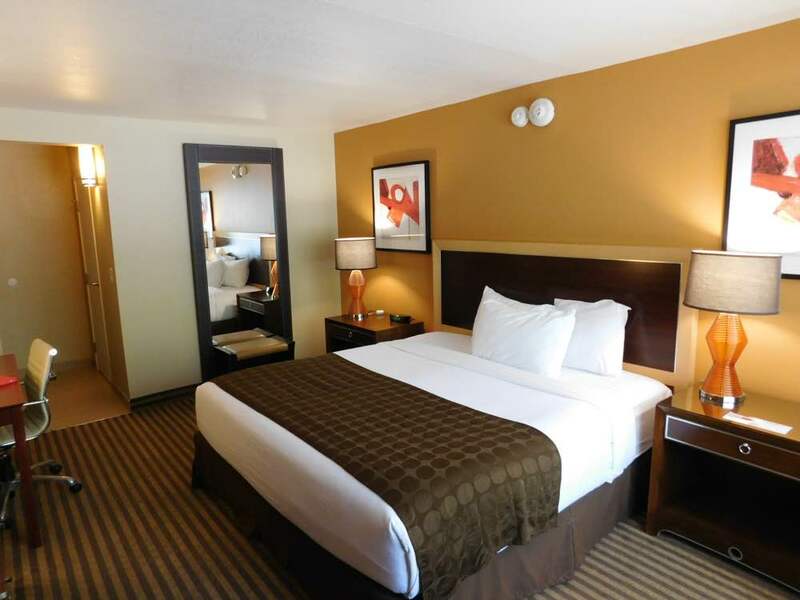 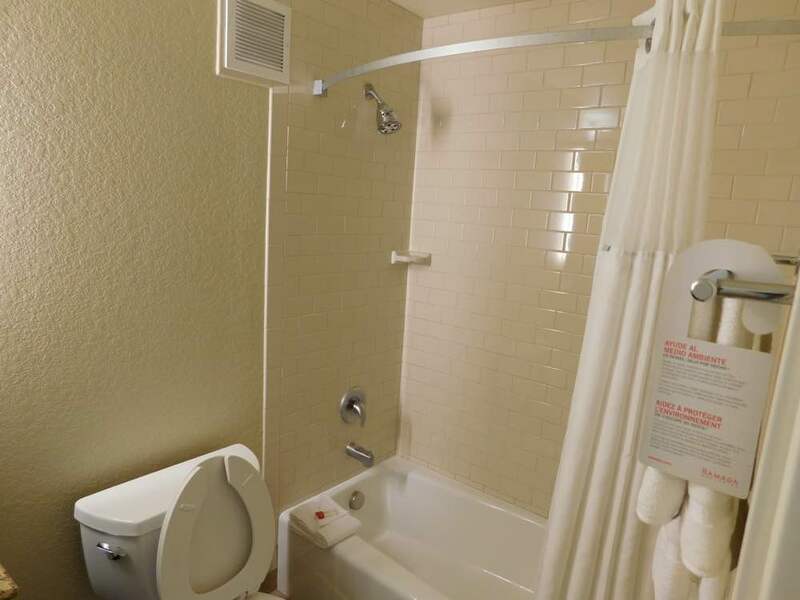 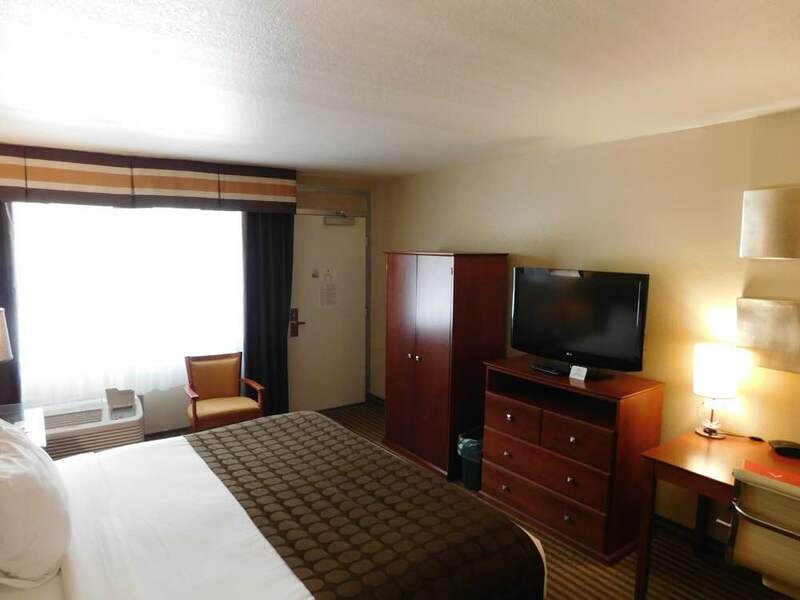 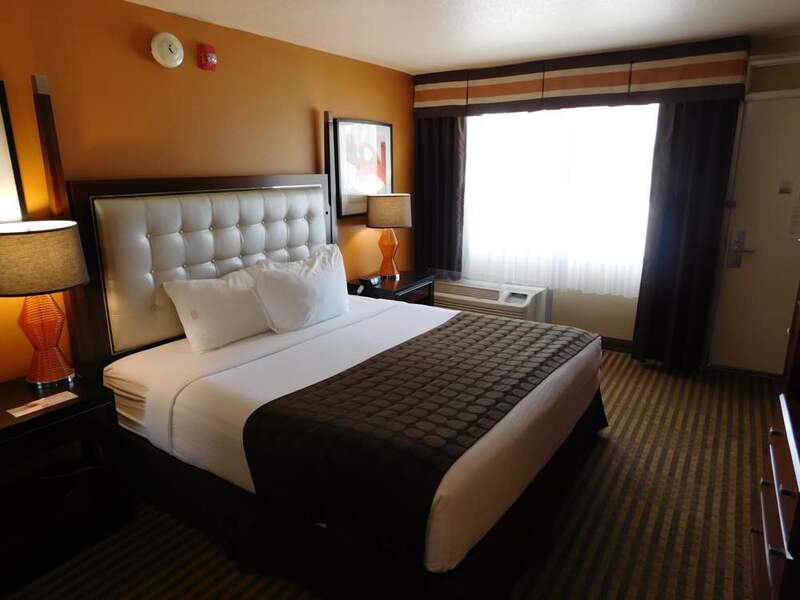 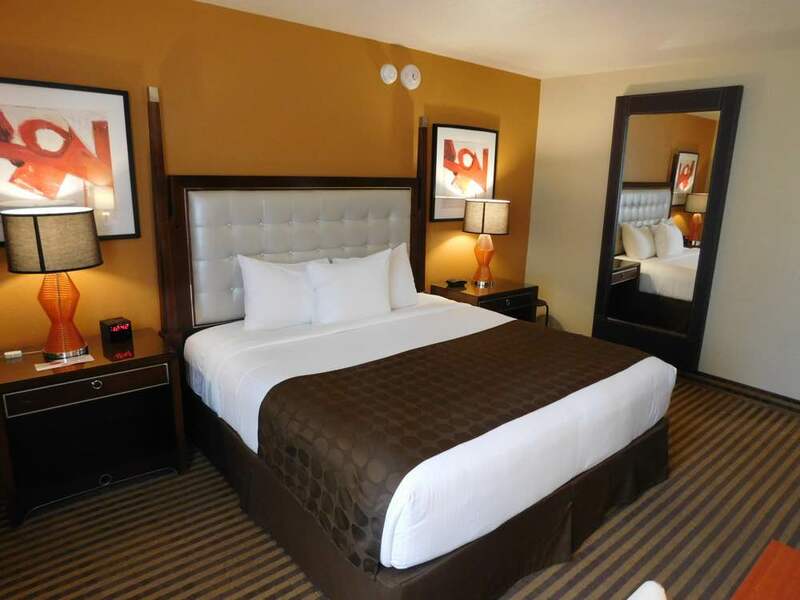 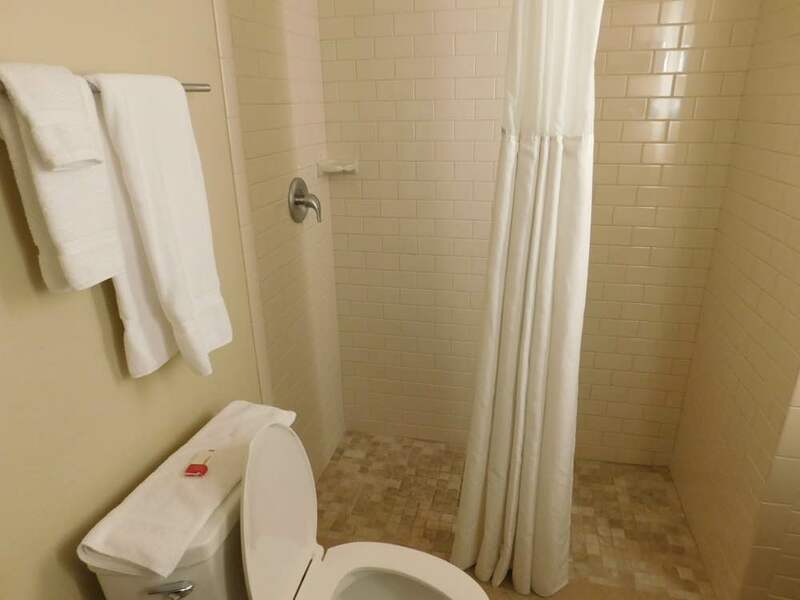 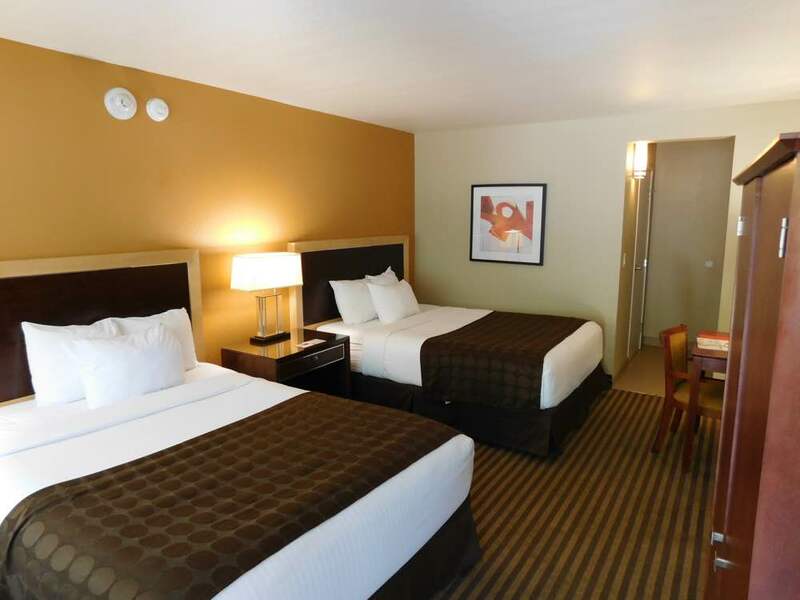 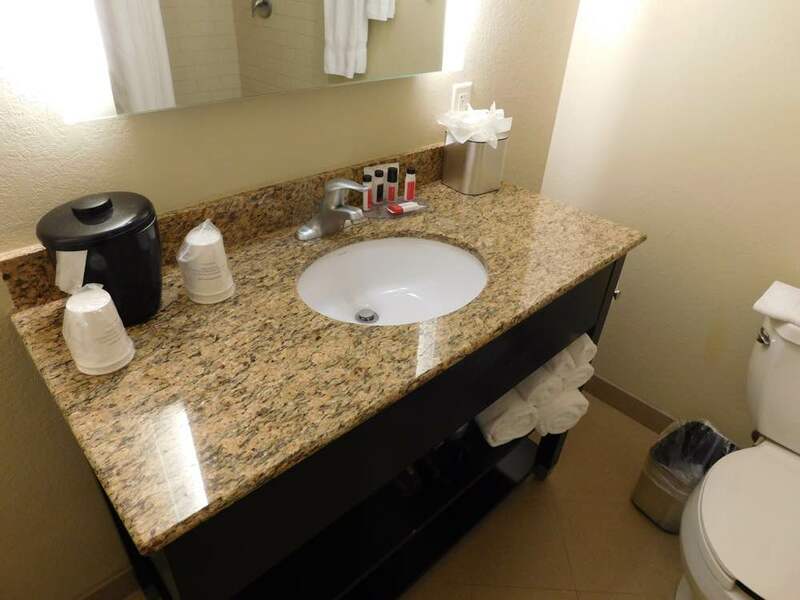 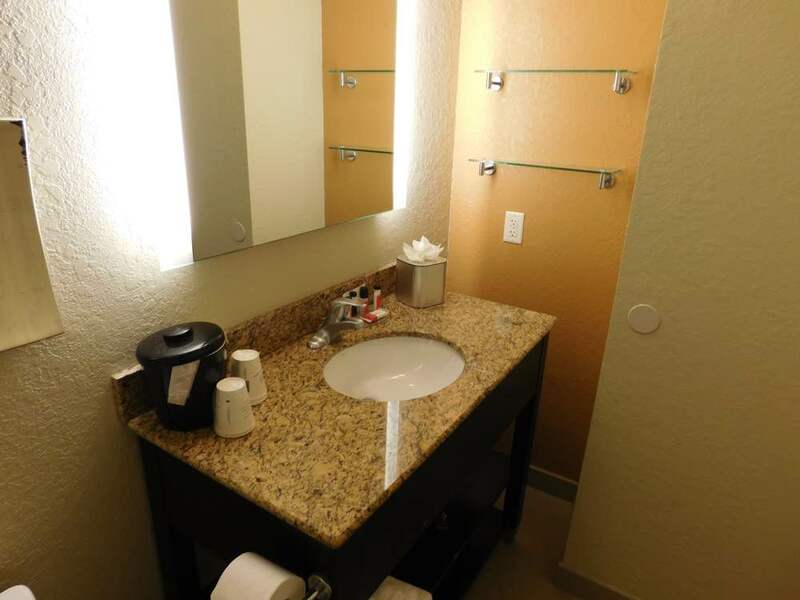 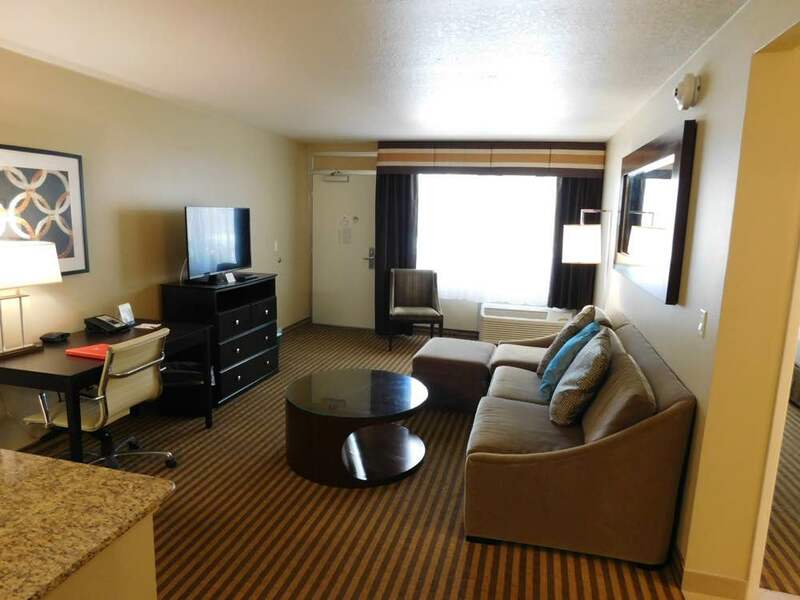 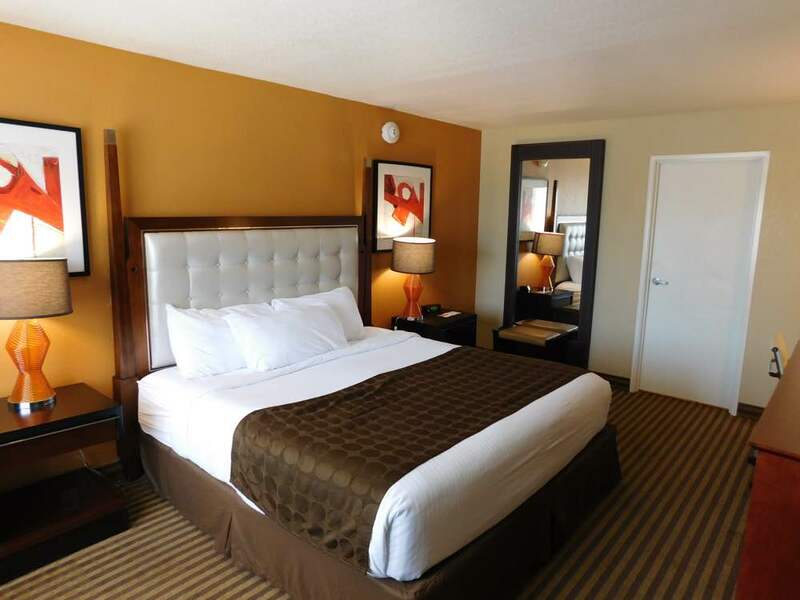 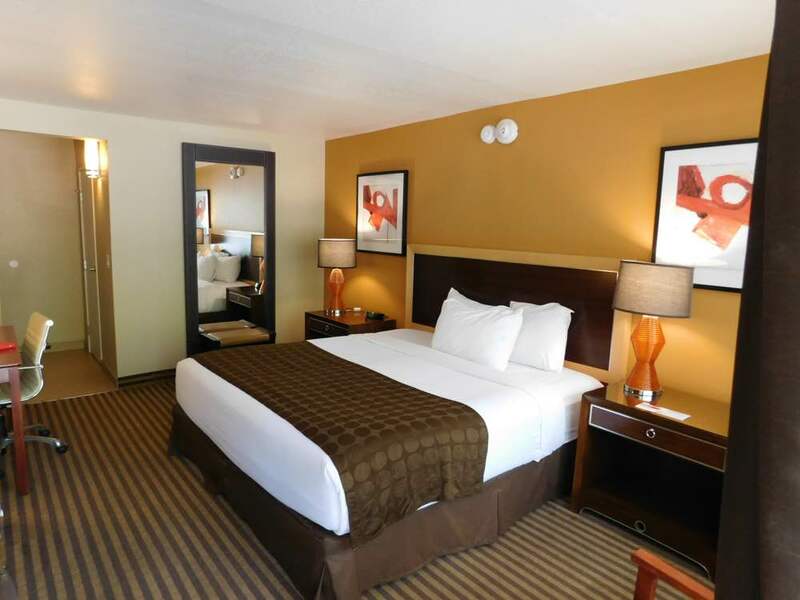 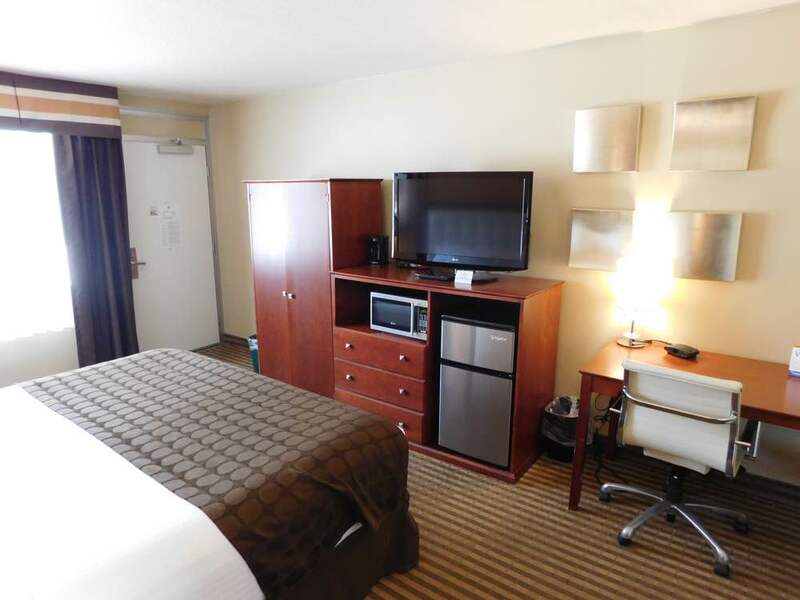 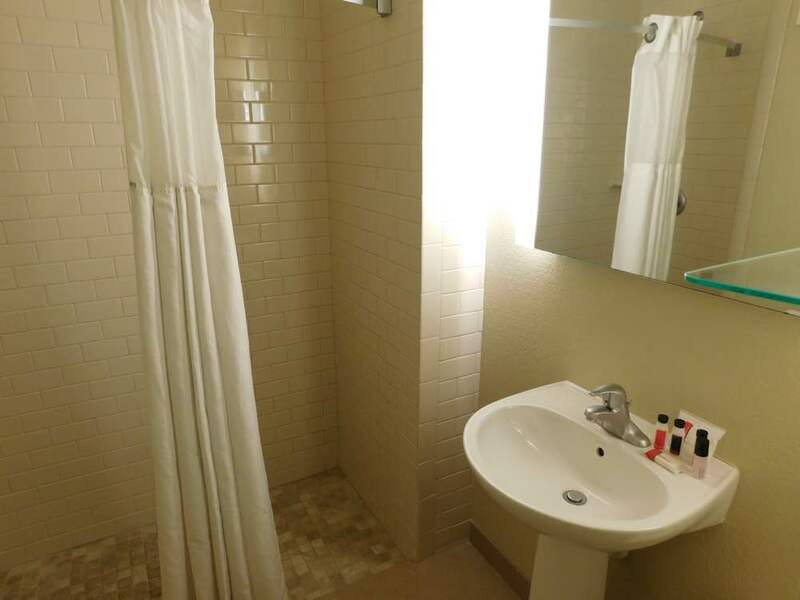 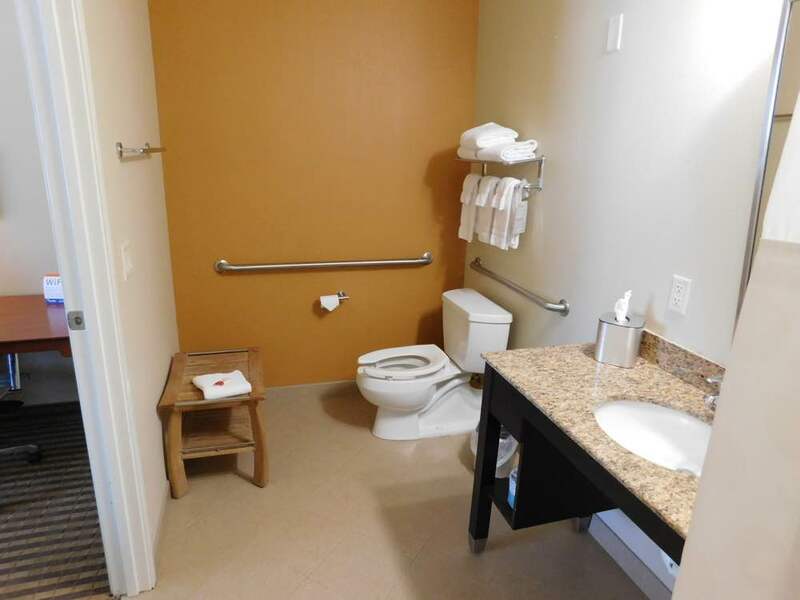 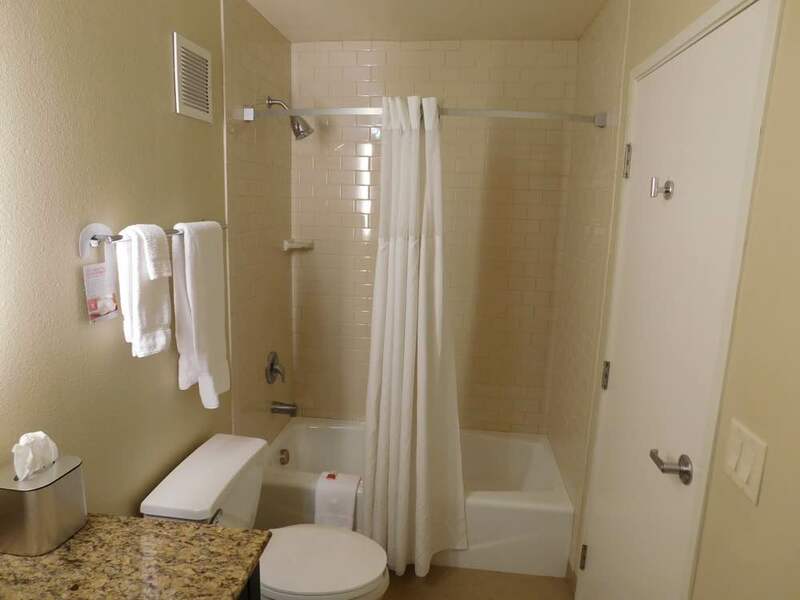 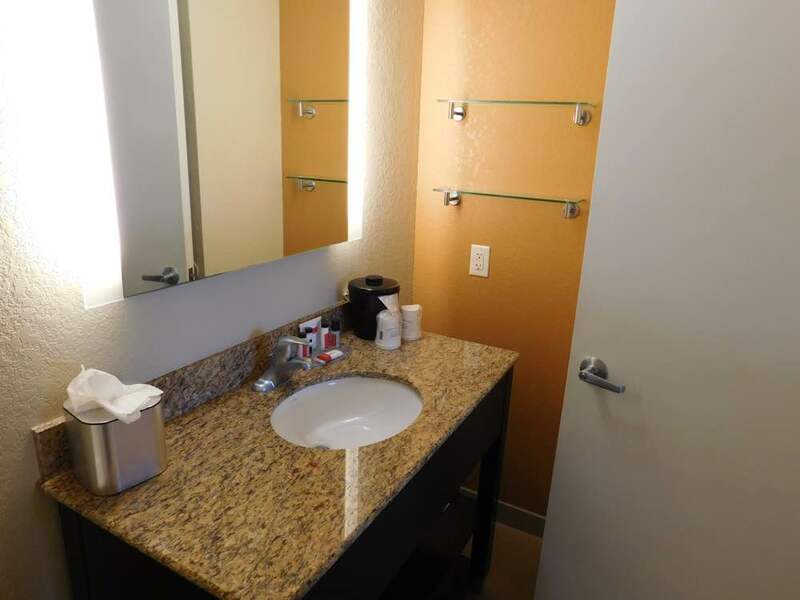 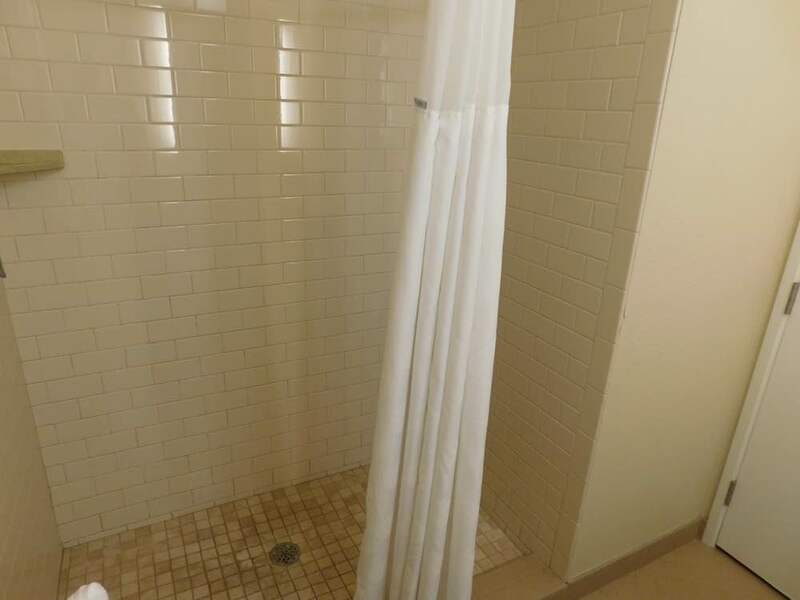 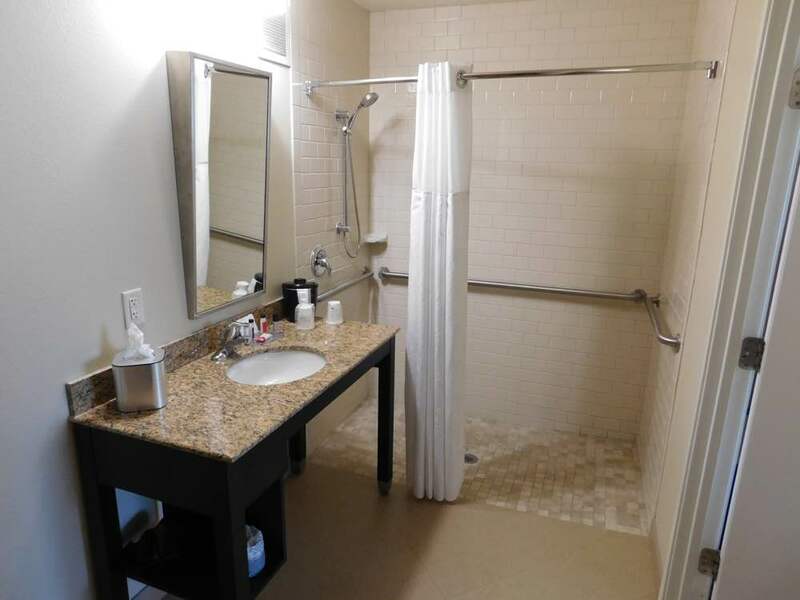 Our Pet Friendly Guest Rooms featured tiled flooring and easy access to Pet Walking Area. 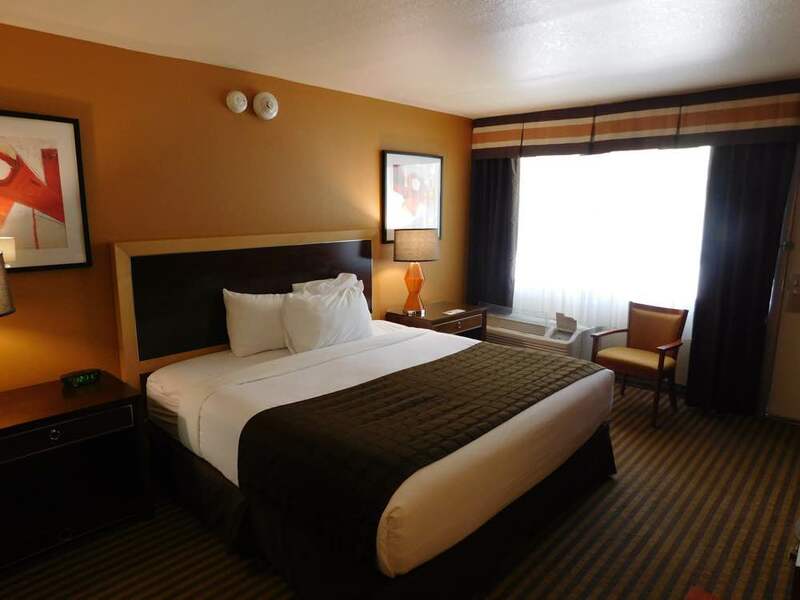 Non- smoking room 1 king bed. 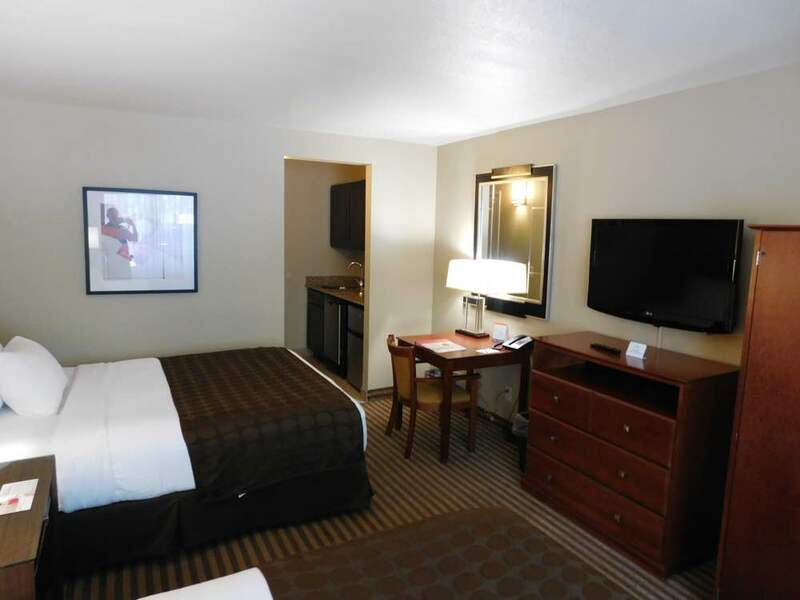 Non- smoking room with 1 king bed. 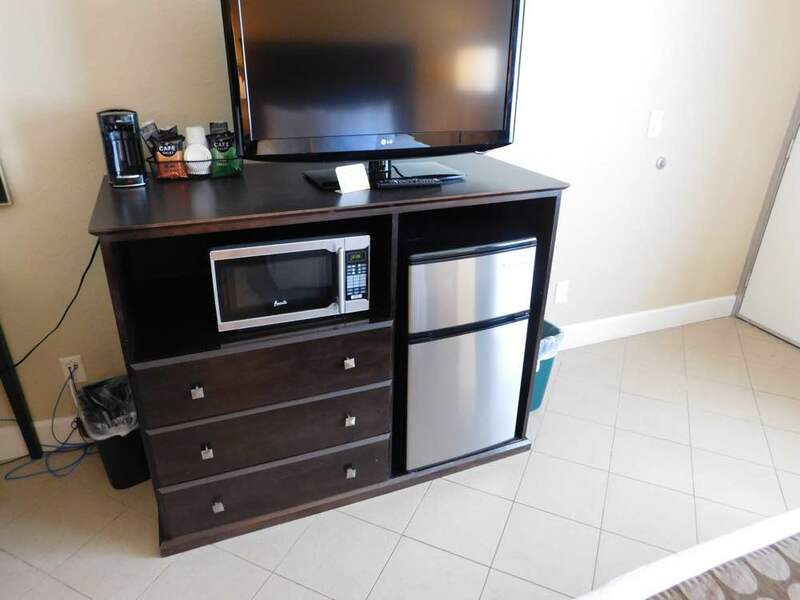 Non- smoking efficiency with 1 king bed. 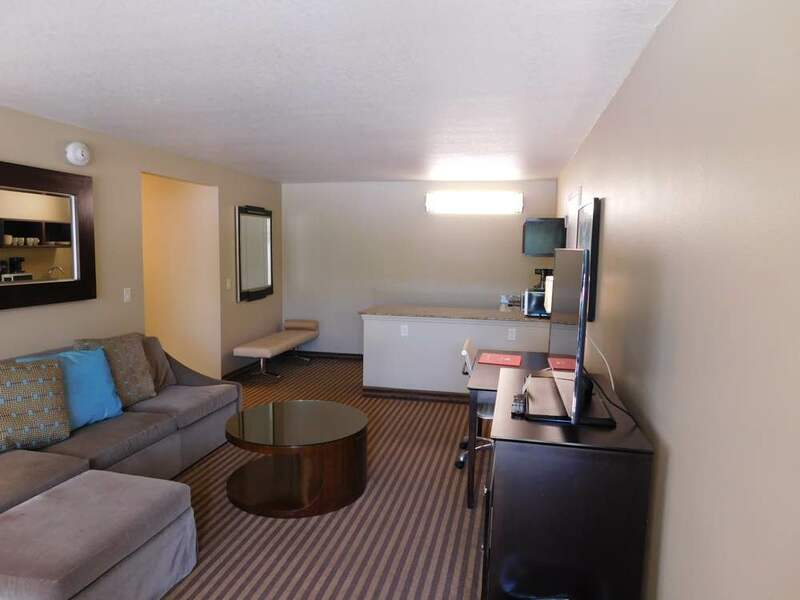 Non- smoking suite with 1 king bed. 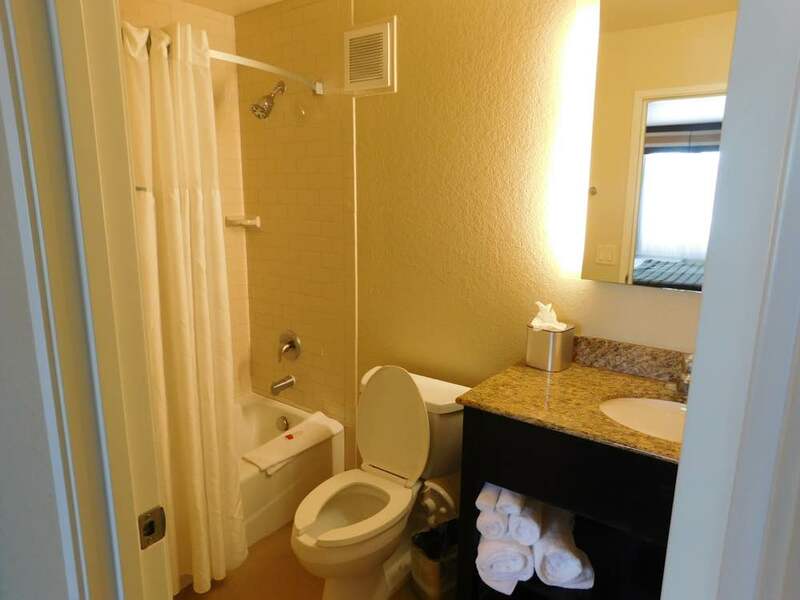 Conveniently faces parking lot  easy access your auto.